Fazer joined Vertical Accelerator in fall 2016 and the co-operation with start-ups already shows promising results. The first prototype with a Finnish start-up Diske was developed in only two months and the co-development will continue. Fazer hopes to meet more talented start-ups in the up-coming Vertical Accelerator Spring 2017 programme. Fazer joined Vertical Accelerator in fall 2016 as one of the strategic partners. The accelerator programme is aimed at health and well-being start-ups and is thus a great opportunity for Fazer to search for co-creation opportunities for its research and business development programme Fazer Brainfood. The Brainfood programme studies the connection between nutrition and cognitive performance, while taking a holistic approach to well-being – considering the importance of sleep as well as physical and mental exercise in addition to nutrition. In the programme, Fazer also aims to build an ecosystem that creates innovations via openly co-operating with universities, partner companies and start-ups. From the very beginning of the programme, Fazer and start-up Diske noticed that they had the potential to co-develop something new together in the field of Brainfood. Diske is specialized in interactive health data visualisation and its two founders, Timo Kettunen and Tuomas Soinne, have expertise in both health care and programming. “In our collaboration, the fact that both parties had a clear vision of the future was essential to get to the proof-of-concept phase. In our meetings, we usually start with open problems and head forward via vivid discussions. Fazer’s knowledge and guidance have been valuable for us along the way. All in all, the collaboration has been smooth and efficient with a great flow of communication.” said Timo Kettunen, CEO, Diske. The application period for the next Vertical Accelerator programme is on-going until the 15th of January. 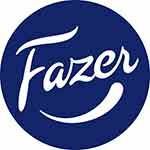 Fazer welcomes start-ups working with digital solutions in the field of health and well-being to apply to the programme.